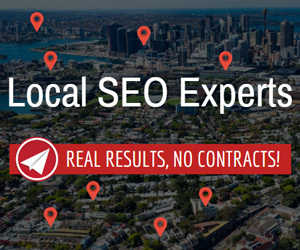 Our SEO affiliate program allows you to connect businesses with SEO Copilot’s services and collect $100 commission every time you generate a sale. SEO Copilot tracks and manages your sales and commissions while providing your referrals with outstanding SEO services. Yes, it’s that easy! Register for an SEO affiliate account in just a few clicks. Share a link on your website, email and social media. Earn $100 for every new customer you refer! It’s a win for you and your referrals, they get the online marketing they need to grow their business, while you generate a passive income! Simply register to get started, then activate your SEO affiliate account our dashboard. You’ll get a unique affiliate link, banners and notifications of your commissions and generated sales! Say you shared your SEO affiliate link on Facebook. When someone clicks that link they are referred to our website. They are identified as being referred by you with cookies (tracking) that expire after 90 days. This means that even if they don’t purchase straight away, you can still receive a referral commission if they return and purchase within 90 days! Please note: The SEO affiliate program is not available for our directory submission services, or your own payment. Simply add your SEO affiliate link on your website, social media or email marketing and start making money. When someone clicks your link and orders an SEO package, you receive a $100 commission. We pay the commission into your affiliate account after 30 days. Generate passive income with our SEO Affiliate Program Get Started!